the program will begin at 11:00 a.m.
Monday, December 17th at 10:00 a.m. Copyright © 2018 Trinity Christian School, All rights reserved. Program for children Age 3 – Pre-Kindergarten. In our classrooms you will find a clean, safe, supportive and caring environment. Our dedicated staff is nurturing to the academic, spiritual and emotional needs of each child. 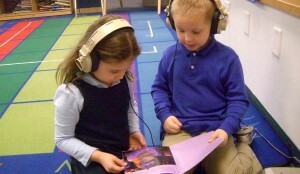 Language expression and listening skills are experienced through circle time, literature and music. Science, art, and dramatic play centers allow children to explore, create, and discover. Weekly Spanish classes expand their linguistic experience. Phonemic Awareness and Phonics are presented as a foundation for emergent readers. Language expression and listening skills emphasized. Fine motor skills and large motor skills are developed through art, manipulatives and gym activities. Wee Care offers a flexible block scheduling that works in conjunction with your child’s preschool classes. 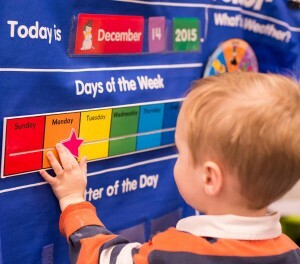 Wee Care operates from 8:30 AM – 3:00 PM and follows the TCS Preschool Calendar.